Men's 5.8 oz. 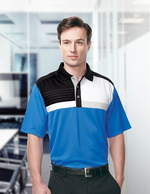 100% polyester color block polo. Featuring Tri-Mountain UltraCool® moisture-wicking technology. Women’s 5.8 oz. 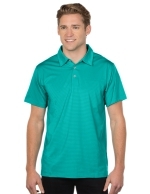 100% polyester color block polo featuring Tri-Mountain UltraCool® moisture-wicking. 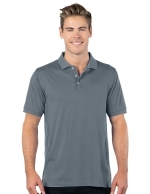 Men’s 5 oz 100% polyester heather jersey polo featuring moisture-wicking. Men's 5 oz. 100% polyester heather jersey long sleeve polo. 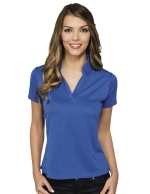 Women’s 5 oz 100% polyester heather jersey polo featuring Tri-Mountain UltraCool® moisture-wicking technology. Women's 5 oz. 100% polyester heather jersey long sleeve polo. 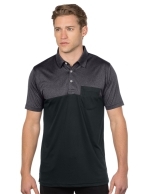 Men’s Pocketed Colorblock Polo. 5 oz. polyester jersey knit. Tri-Mountain UltraCool® moisture-wicking. Tri-Mountain Gold women’s 6 oz. 100 % poly mini grid polo with Tri-Mountain UltraCool®. 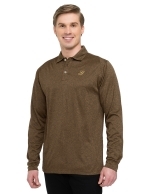 Tri-Mountain Gold men's 100 % poly mini grid polo with Tri-Mountain UltraCool®. Tri-Mountain Gold men's 100% poly jaquard knit golf shirt. Features UltraCool™. Tri-Mountain Gold women’s 6.1 oz. 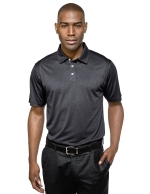 85% poly/15% spandex polo with Tri-Mountain UltraCool®. Tri-Mountain Gold women’s 100% poly tonal mini argyle polo with Tri-Mountain UltraCool®. Tri-Mountain Gold women's 100% poly yarn-dyed striped golf shirt with Tri-Mountain UltraCool®. Tri-Mountain Gold women's 51 cotton/49 poly vertical striped jacquard golf shirt with UltraCool™. Men's 5.4 oz. 92% polyester/8% spandex tonal engineered stripe polo. Women's 5.4 oz. 92% polyester/8% spandex tonal engineered stripe polo. 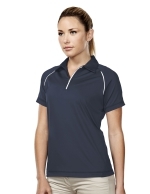 Tri-Mountain Gold women's 90% poly/10% spandex diamond golf shirt with Tri-Mountain UltraCool®. Tri-Mountain Gold women's double mercerized cotton pique y-neck golf shirt. Ultra Soft Double-Peached Polo. 6.7 oz. 92% polyester/8% spandex with moisture-wicking.